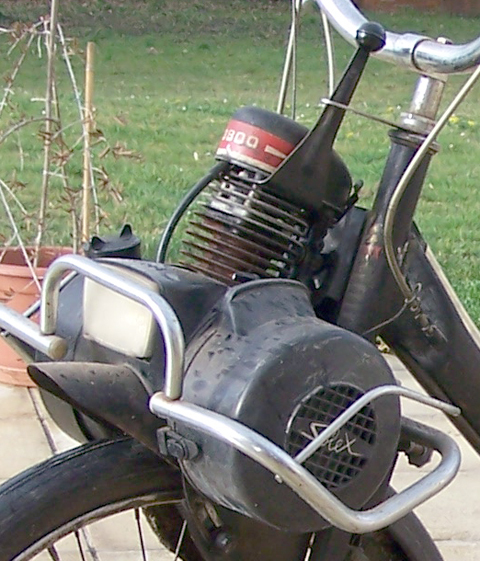 1968 Velosolex 3800. Good Original Running Order. It’s only through the good grace of my French friends that I’m able to sell this volume of good condition French vehicles. 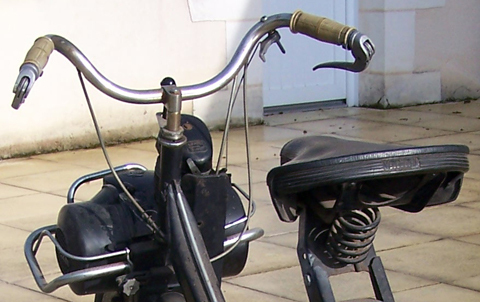 It’s surprising what a big difference there is in motorcycle design and style each side of the Channel. That’s why they like British machines and I like French stuff, and why we spend so much time helping each other find foreign motorcycles. Vive le difference. Alain found this one while buying another motorcycle. It’s in good unrestored original condition, and it runs. He’ll be over for Stafford Show in a few weeks, and will drop it off on his way. 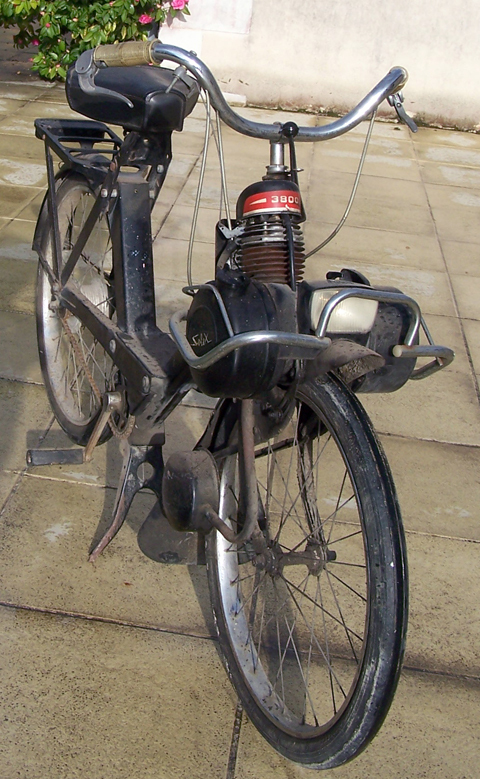 The Velosolex was introduced right after World War 2. 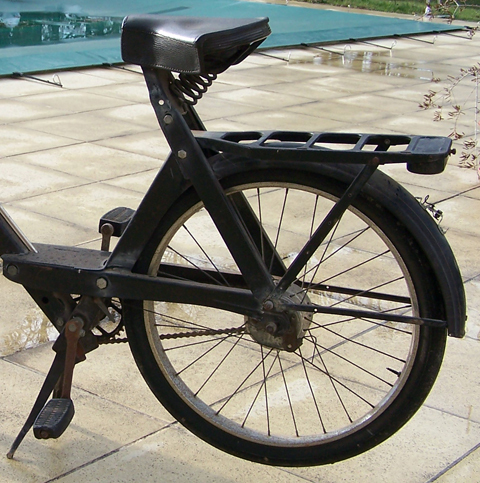 The first model (the 45) ran until 1953, but the design stayed more or less the same throughout its production run. 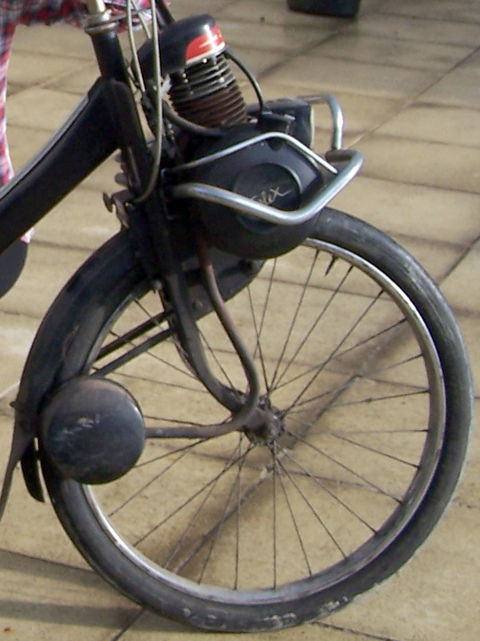 The main change was in 1959 when a clutch was introduced. 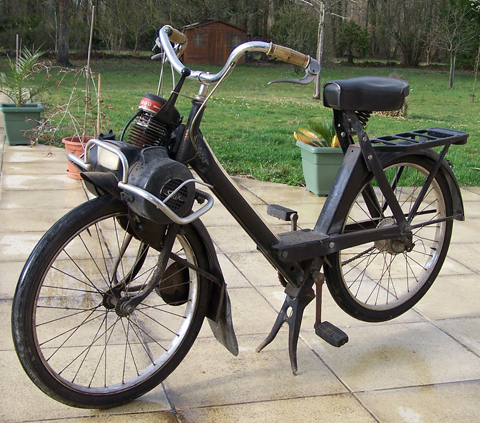 The 3800 benefits greatly from this, as it’s so much easier to use than the early models, which is why the 3800 is now the most popular Velosolex model in France. 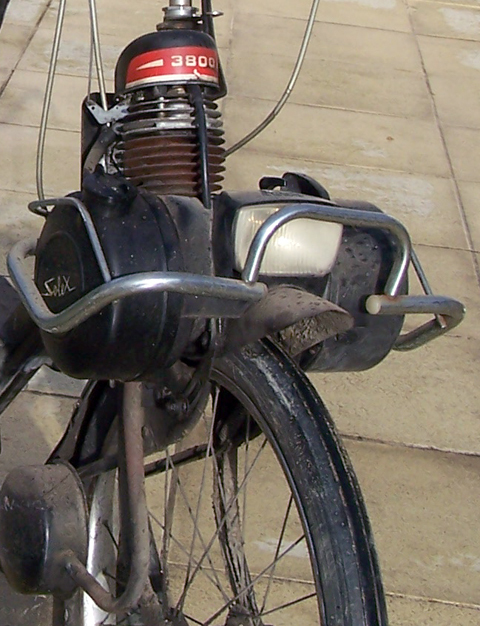 A good measure of its success is the fact that a brand new Velosolex is now on sale. Although I find it to be a bit ‘plasticky’ it surprised me how true it is to the original design. These wonderful little machines really are the epitome of french vintage transport. There are several good clubs to provide any info and support you need. 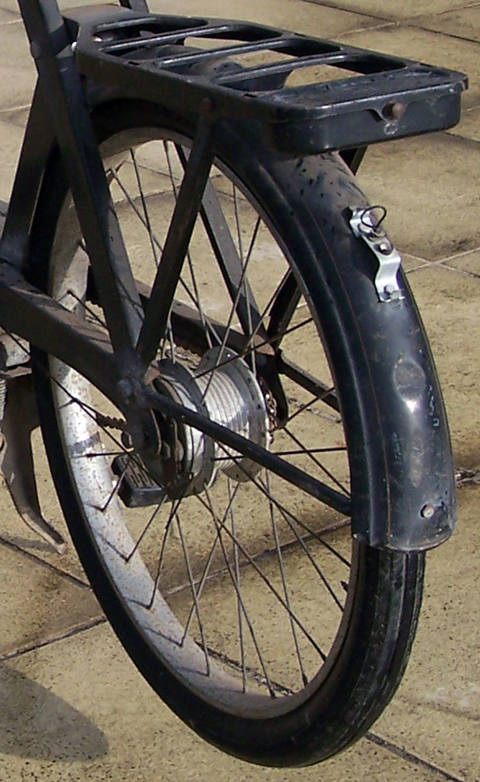 An iconic 1950’s Velosolex is one of the most practical cyclemotors to own and use for your local commute, to take to local shows in the summer, and to introduce younger members of the family to vintage vehicles. 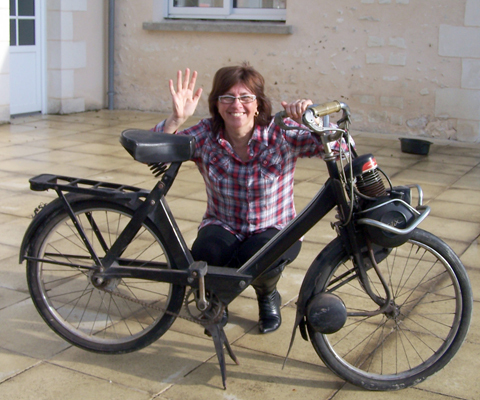 Alain is actually a serious vintage motorcycle collector, specializing in upmarket machines, and would not normally bother with mundane things like a Velosolex. It’s only because of me that he has to bring them home. 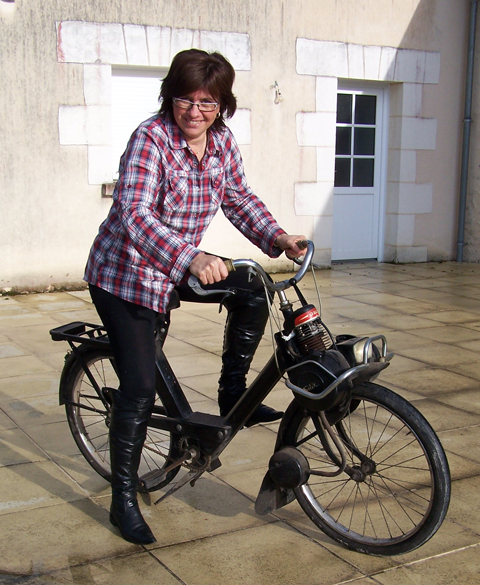 So the Solex had a bit of ‘novelty value’ in his household and, when he started it up and rode it round his garden, his wife Chantal had to have a go on it too. Even if you normally like expensive motorcycles, the charm of the Velosolex is hard to resist. 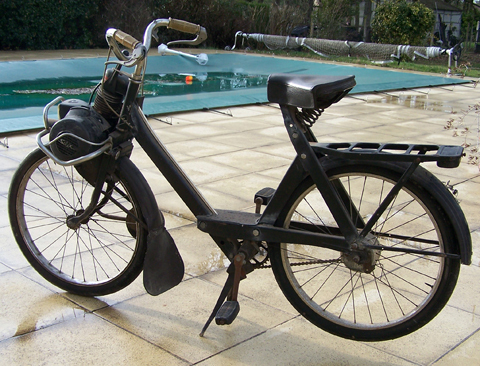 This Solex will be here in the UK on 22nd April. It’s missing its tail-light. I have one which I’ll fit before it’s sold. 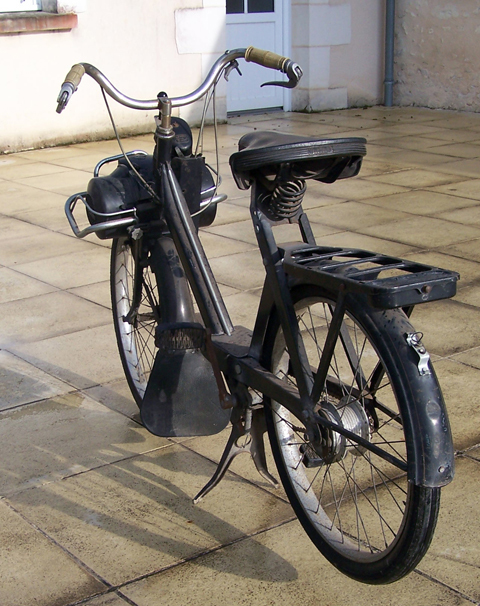 United Kingdom – delivery is £50 for a 2-wheeler to most parts of the UK. International purchasers – I do not use paypal.